The days are getting longer, the weather’s a little warmer, it can only mean one thing, it’s nearly Festival Season! Now’s the time to start thinking about your hair-itinerary (yes, it’s a thing). Whether you’re going for a day or for a long weekend, your hair will be your most powerful accessory and we’re going to help you make the most of it! To help with your hair inspiration we’ve scoured the internet for pics of all the latest, and what we predict will be the biggest trends in festival hair 2016. 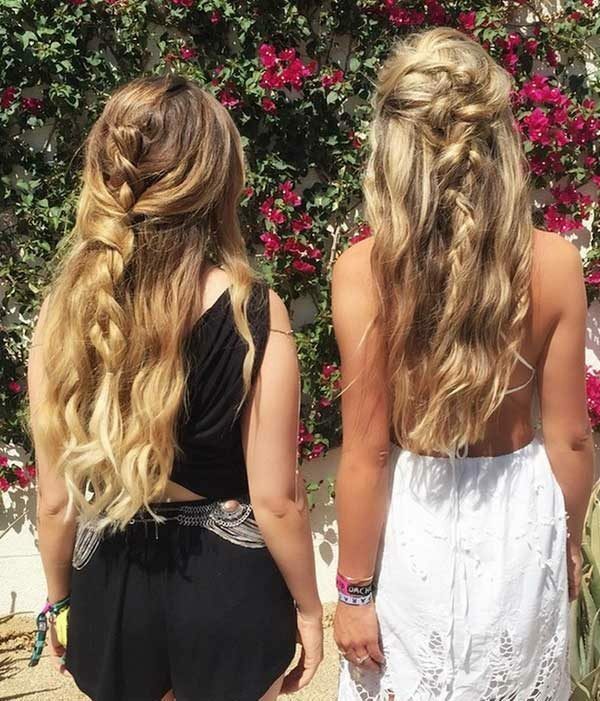 And yes we’re biased but we think all the most gorgeous festival styles look best on long, thick hair. On day one, your hair will be clean and fresh so make the most of it, go all out and rock glamorous or beachy waves, and bouncy blow dries. We LOVE Suki Waterhouse’s casual waves and this look is so quick and easy to recreate. Simply hold your wand/tong/straighteners vertically and curl 2” sections away from your face. Don’t start to curl any higher than your ears. Let the hair cool, mist a paddle brush with hairspray and brush from the top of your head all the way down to the tips. Repeat for each section and ta da! Festival worthy waves. Blogger, Negin Mirsalehi is one of our major hair crushes. She wore her beautiful, 22” tresses in lose, glossy waves. And don’t get us started on her stunning, ecaille balayage, perfection! The super voluminous, curly blow is officially out! This season’s long hair works best when it’s layered and worn with a slight wave. Layers create movement while waves reflect light and add instant shine and gloss. 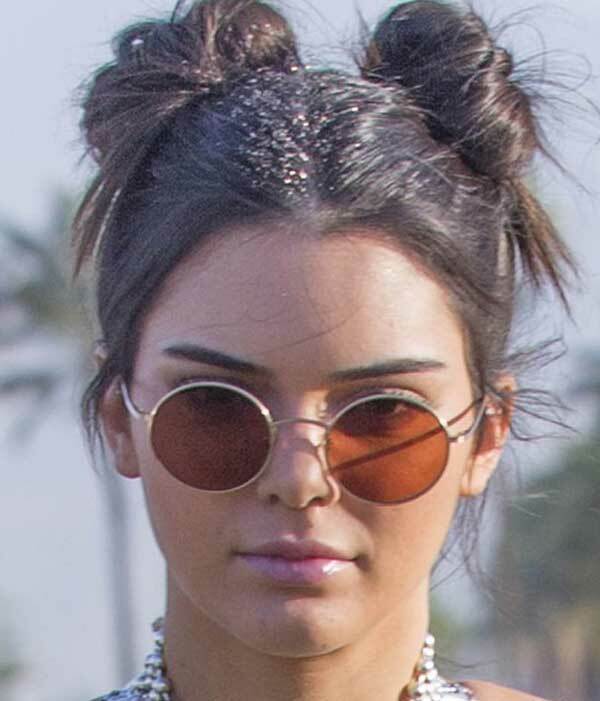 Okay, so mini buns have been around for a while now but we’re not at all surprised that they were all over Coachella, they’re so versatile and fun! Here’s our pick of the best. Victoria’s Secret Angel, Taylor Hill looks stunning with her messy, half up top knot. While Chiara Ferragni looked effortlessly cool with twin mini buns at this year’s Coachella. 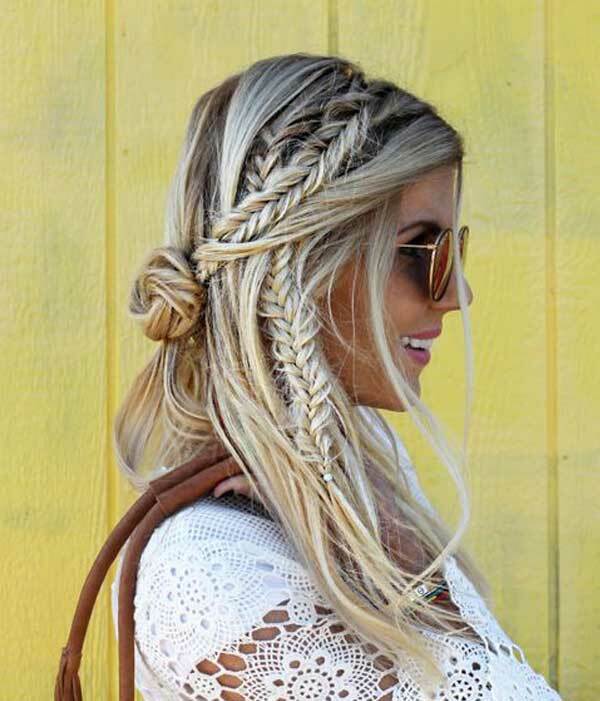 Braids are always popular at festivals, they’re so adaptable and look great. And don’t worry if they look too perfect on day 1, they’ll be messier and relaxed after a full nights dancing and camping. Braids look great even when they’re messy and are perfect for styling up long hair when you can’t get your hands on your favourite tools, products, etc. The braid and mini bun combo is one of our faves, minimum effort, maximum effect. The style is festival proof as it looks good even on messy, unwashed hair. Kylie Jenner was just one of many celebrities to wear boxer braids at this years Coachella. Who would’ve thought your year 4 school hairstlyle would make a comeback! Festivals give you the opportunity to be adventurous and experiment with styles, trends and accessories you wouldn’t usually wear, and this year won’t be any different. Glitter partings are a really easy and super effective way to add interest to your hair. It doesn’t only look good with mini buns, it looks great in any parting. Kendall Jenner, not to be outdone by younger sister Kylie, hit two big looks, combining mini buns with glitter roots and we looooved it! Warning- use glitter sparingly, it’s not a good look when it gets in your eyes, mouth, etc. 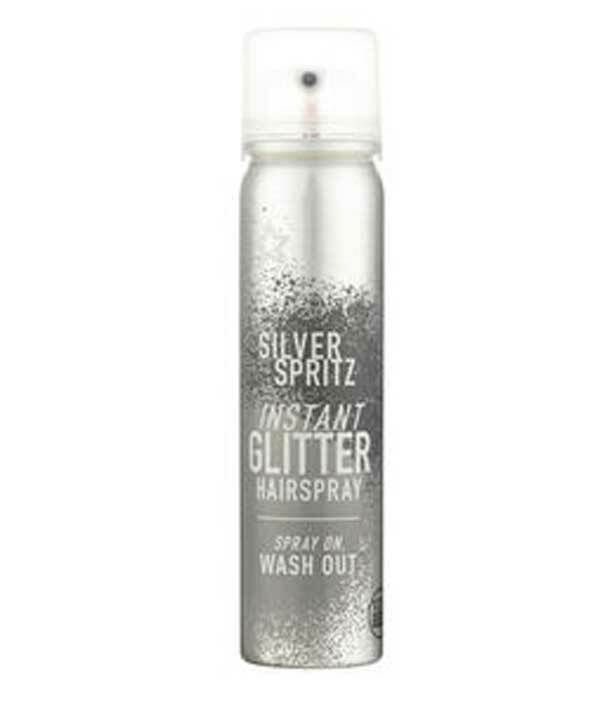 Silver glitter hairspray available from Superdrug. Bandanas and headbands were another popular accessory at Coachella, but don’t wear your hair severely scraped back circa. ’95, instead use salt spray like L’Oreal Wild Stylers Beach Waves and a medium barrel tong to create a relaxed, texturised look. Headwear is always big at festivals and what you wear depends on how big a statement you want to make. We don’t think flower accessories will be big this year, with tiaras and crowns becoming more popular. We love how this festival goer keeps make up to a minimum and lets her crown take centre stage. Chiara Ferragni (again) topped her gorgeous tousled extensions off with a pretty tiara. 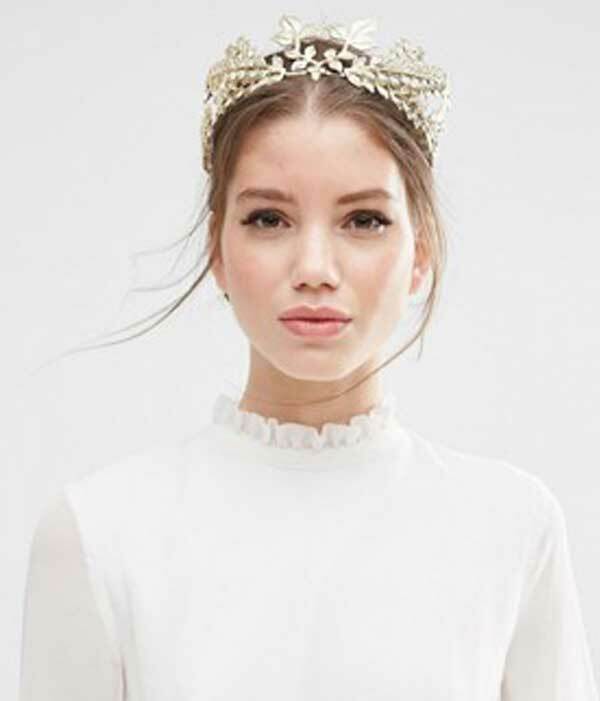 And we love this pretty tiara, available from ASOS. NuTress is one of just few salons to specialise in hand blended, individual human hair extensions in Manchester and the UK. We have a genuine love and passion for hair extensions. We offer a truly specialised hair extensions service. Each hair extension is tailor made to blend seamlessly with your own hair, creating a style which falls, moves and flows just as your natural hair would.